On October 14, Vicky Miller, 45, went to be with the Lord after fighting cancer for three years. Vicky was born on June 28, 1964 to Ken and Joan Swanson in Rapid City, SD. Vicky graduated from Rapid City Central High School in 1983 and later Western Dakota Technical College. She married Joseph Miller on May 10, 1991. They moved to Sioux Falls and started a family. Vicky found her life's passion when she began work at Children's Care Hospital and School. She was gifted with the ability and patience to touch the minds and hearts of children especially those with special challenges. Vicky went on to work for the Sioux Falls School District as an educational assistant working in various schools, most recently at Jefferson Elementary School until her health necessitated her departure. Vicky was a loving wife and mother who made a difference in the lives of those who were fortunate to know her. Her giving and creative spirit will be missed. 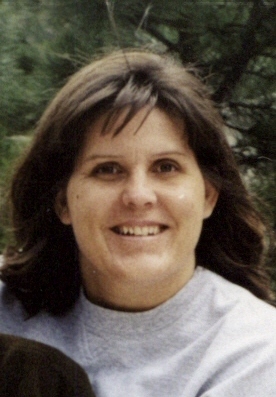 She is survived by her husband: Joe, three children: Strider, Keaton and Lita, parents: Ken and Joan Swanson, sisters: Cathy(Dave) Adams, Aurora CO, Connie Olson, Rapid City, SD, Laurie (Asher) White, Rapid City, SD, and 21 nieces and nephews. Visitation will be Monday, 6 PM at Barnett-Lewis Funeral Home with a Scripture Vigil at 7:30 PM. A Memorial Mass will be Tuesday, 10:30 AM at Christ the King Church.